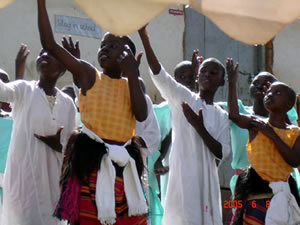 July 1, 2010 – The volunteer team from Illinois arrived at King’s College (a high school) around 10:00am. 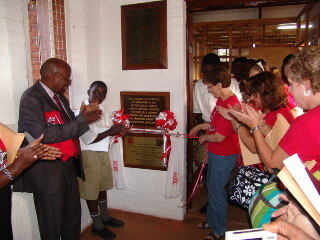 The school had planned the grand opening of the library at 4:00pm. In six hours, the team unpacked about 4,000 books, put them in Dewey order, shelved the books, hung maps and signage. They were ready for the opening right at 4:00! Read more on Trudy’s blog. Inspiring! I can’t think of another word that is more appropriate to describe the latest libraries in Uganda. All five are beautiful and well organized. 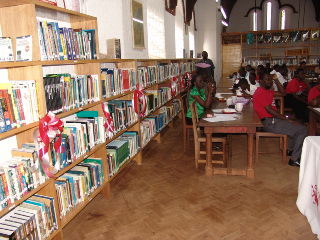 Our men did a fantastic job building shelves and the ladies have become pros at placing the books in the correct Dewey order, and decorating to make the library an inviting place for the students and staff. 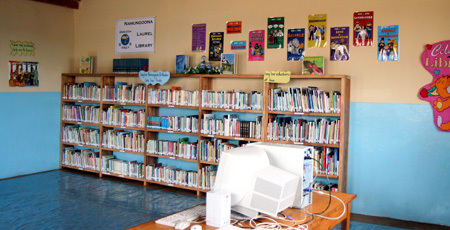 Two of the libraries are smaller because the school’s student population is less – with three libraries being large. 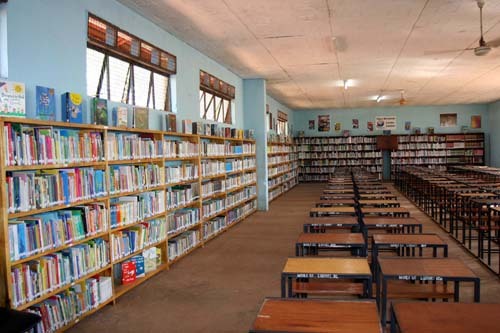 “It is an undeniable fact that the books will have an immeasurable impact on the students of Mbale area in general and Bugokho Secondary School in particular. 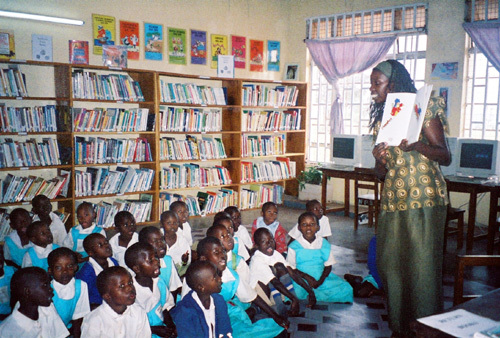 Huge grins, shrieks of delight, twinkling eyes, sharing, laughter, and a sea of gratitude were all part of the day as students and teachers came to hold, look at, and check-out books from Namirembe Laurel Library. The awe on their faces was overwhelming as each child chose a book for the first time!